Are you looking for business basics to start a business? Do you know business basics once should follow before you start writing a business plan? Here you will know the basics of business for beginners, but before knowing and understanding the business basics, you should be clear on what is business and what parts constitutes the best business plan. Below you will know what it is. Business Definition: A business is a project where a significant investment is made ​​to obtain a benefit in return. In other words; a business is an, method, way, activity or system to get money in return for providing some form of benefit to others. The parts that make up a business or a business are financial, economic sources, supply and producers, and the resources of administrative resources and utilizable raw materials. There are notions that allow you to grow your business, get more customers and retain the ones you have. There are three concepts that are the cornerstones of a successful business. They may seem obvious, but they are almost a mystery to most of the entrepreneurs and even a good number of experienced entrepreneurs. Look for them, identify them and take advantage of them in decisions to grow your business. There are two types of business which are transactional and relational. Transactional businesses are those that sell products or services that are consumer durables. Its name is because, in general, have very long cycles repurchased. For example: Houses, cars, vacations hosting, bathroom furniture, building materials. Relational business is selling products and services fast or immediate consumption. Unlike transactional, customers turn to them often and have very short cycles of repurchase. For example: beauty salons, stationers, pharmacies, repair shops, cinemas, restaurants some companies are in the two business areas, as it could be a car dealership. Car sales are transactional while the service workshop is relational. The most valuable asset in any business is its customers and it is they who carry the money to the company. You need to know in numbers the customer value. If it is a transactional business getting this value is relatively easy, since almost every sale achieved corresponds to a different customer. When we talk of a relational business, it’s a little more complicated. The only way to know is to create a database of clients and carrying a record of each visit per customer. Regardless of the type of business, a constant investment in getting clients is always done. We must be clear: to businesses that are not advertised spend on promoted for customers. Whether hiring vendors or simply to open their doors to the public, it is investing in promoting the business. We need to invest resources for customers, and that investment is consistent. In conclusion, successful entrepreneurs handled with ease these concepts and value their customers as a very important asset in your business. Know how much it costs to get a client, it shows you how dangerous it is to lose. Start making promotions, advertising or sales effort without knowing the value and application of each of the above concepts in your business are dangerous. 1. Business Plan: It is an organized collection of important pieces, tasks, basic information and company financials. This document should be printed strategies and details of what should happen in the business and when, who is responsible and why, how progress will be measured, how to spend money and where it will come from, and how much revenue is expected. Get not just a document; it is a plan. If you do not you check every month, you will loss valuable information, so it must be practical and have the right extension to serve the needs of the business. 2. Business Planning: This is run the company using a cyclic process. Plans manage and checks needed to optimize time and costs. Business planning is basically administration. 3. Business Strategy: This refers to a combination of strengths and weaknesses, opportunities and threats, potential market, offering business and product penetration in the market. The approach is vital. Know who your market consists not what you do not offer may become even more useful information than who did what is self and what you offer. All this can be expressed in bullets, slides, short paragraphs or other ways to keep in mind what your strategy. 4. Business Projection: Includes a series of simple and easy to manage expectations about the future cash flow including sales, expenses, assets, liabilities and capital. It’s not about predicting the future; it is about connecting the dots to make monthly projections as well as annual and the next two years. Focus on the main components and express them in money. These components are factors such as capacity, marketing activities and sales, direct costs, and others. The goal is to draw connections between the most important provisions. For example, look how the direct project costs in relation to the percentage of sales. Generally, relations are more important than numbers. So, to continue with the same example, if your sales are higher than expected, you might expect that the direct costs also are. 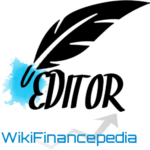 Companies with good processes of financial projections are rare to spend a month without modification. 5. Strategic Plan: It focuses on the strategy of each business unit, in line with the corporate strategy, to compete in a particular sector or market. It receives resources and capabilities assigned by the corporate strategy and brand guidelines to follow. Responsible for the business units are responsible for defining it, following the patterns of senior management. 6. Operation Plan: The operation plan explains the process of production which continues up to the final product, service which is to be provided by the company. 7. Marketing Plan: Every company requires developing a marketing plan. This is a key concept in business basics. This must meet certain requirements to be effective and calls for those responsible: a realistic approach to the situation of the company; its production will be thorough and complete; It must include and develop all the objectives; It must be practical and affordable for all staff; determined intervals, with corresponding improvements; and shared with all staff of the company. 8. 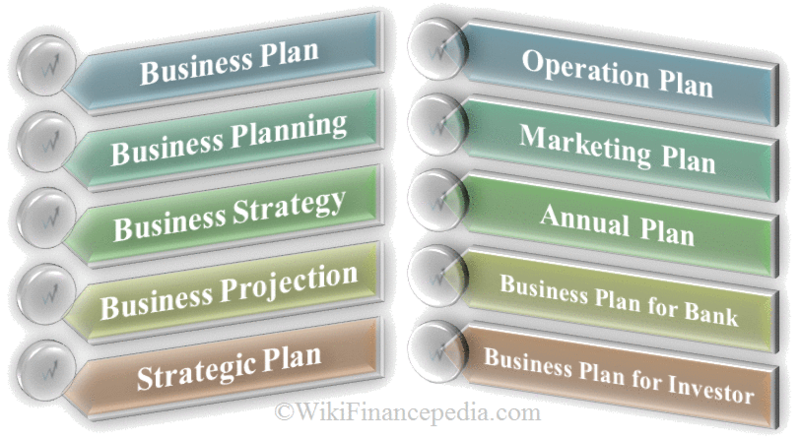 Annual Plan: This business plan does not consider the planning for the second and third year. This is an important business basics to showcase the annual plan to attract investors and customers needs in the near term of the business growth. 9. Business Plan for Bank: A document created from a Bank Business Plan, with the necessary for readability and emphasizing the financial performance of the company in the past and its current financial position format. Bankers seek credit history and assets backing the loan as a part of business basics and growth of the business. 10. Business Plan for Investor: A document created from a Investor Business Plan, which describes potential investors the foundation of a company to attract attention. The most common and essential points of business basics are to note the management team, penetration the product on the market, potential, elements such as technology and operations manual, potential growth and the possible return of investment market. » Currently Reading: Business Basics and Fundamentals for Beginners before writing a Business Plan.